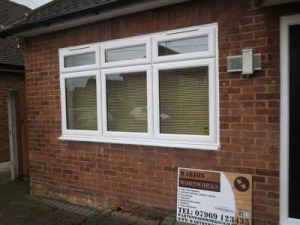 If you require window installation Essex, then you have come to the right place. Our team at Warton Woodworks are professional window installers. 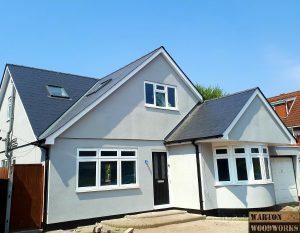 We install windows and doors on new builds, refurbishments and loft conversions. 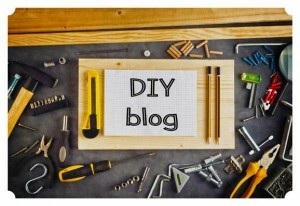 This article provides you with our most interesting window installation achievements, covering different types of windows such a casement, Velux and Cabrio. 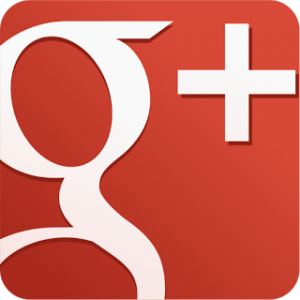 We also provide you with some advice regarding window selection, insulation and building regulations. Warton Woodworks can supply and fit any type of window, in any material you like. We pride ourselves on working closely with local customers throughout Essex, in town such as Basildon, Billericay and Brentwood. Working locally allows us to take extra steps to ensure every customer receives our full attention. 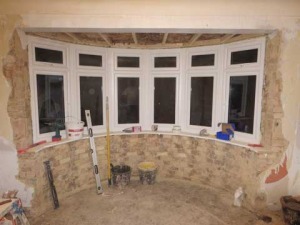 Our aim is to provide a stress free window installation Essex service. Please do not hesitate to call us. We will guide you along the way, ensuring you select the right window and door products which suit your home. 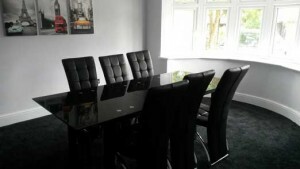 This project was carried out in Basildon Essex. 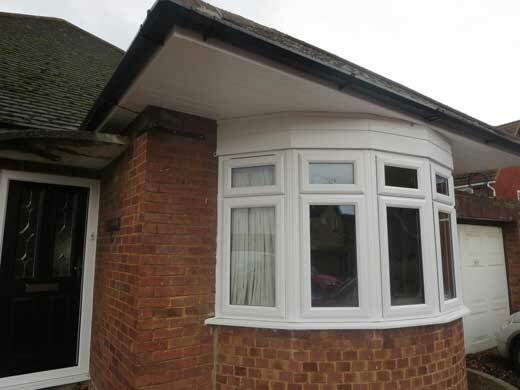 Our highly skilled team first replaced the old aluminium framed bay window. Once removed, a new uPVC 6 panel double glazed window was fitted. This new window was rated A for thermal efficiency. The 3 casement aluminium framed windows were also replaced for new uPVC ones, each being A rated too. An old uPVC front door was also replaced, but for a composite one. All windows and doors were screwed in securely. High quality insulating foam was used to seal any gaps. Cladding was finished with mold resistant silicone sealant. All windows and doors were then signed of by building control. 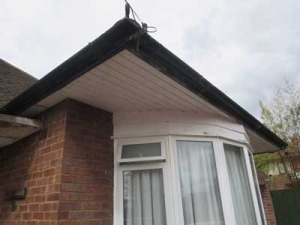 The customer was very happy with the job, and could not believe how much warmer their home feels. The old aluminium bay window suffered from condensation, mainly due to worn seals which created water leaks. It is possible that the aluminium frame inself contributed towards condensation too, as they are not a good insulator. 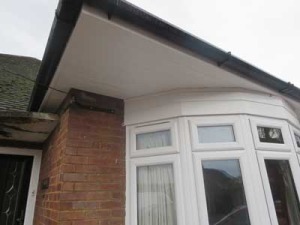 Poor insulating materials generally create a cold surface, which increases the chances of moisture condensing on it. The new bay window looks great and will last for many years to come. 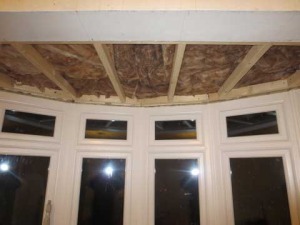 When the cladding above the old bay window was removed, we was shocked to find no insulation within the cavity. Before fitting the new cladding, we made sure there was celotex insulation installed. Below is an image of the old aluminium framed bay window. The cladding above is constructed from wood. Behind this wood was a hollow cavity. The aluminium bay window below was completely removed. 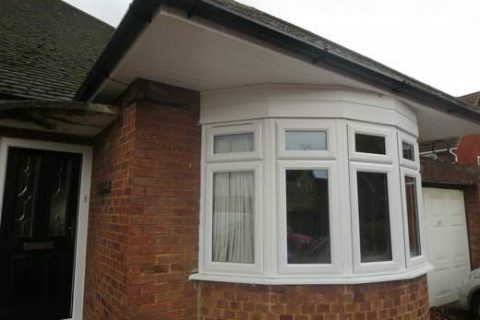 Below is the new uPVC bay window we installed. This is shown in the image below. We installed celotex insulation behind the new cladding. Below is an image of a casement window that was installed. This window has dummy sashes on the outside to ensure all window panes are inline. We converted a bungalow into this hip to gable chalet below. This involved installation of 7 Velux windows, and 4 casement windows. You can see this project step by step here. 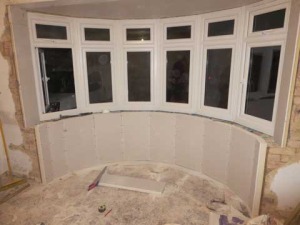 We hope you have enjoyed this Window Installation Essex Project post.